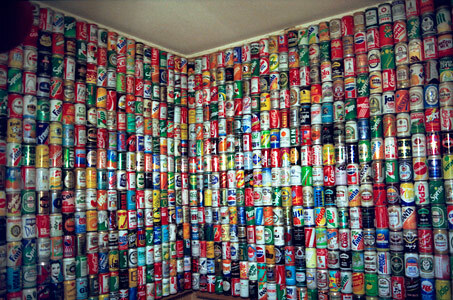 This collection includes about 1300 (different) empty 0.33L aluminium cans. Besides its aesthetic purpose, it serves as an acoustic isolation of my bedroom. 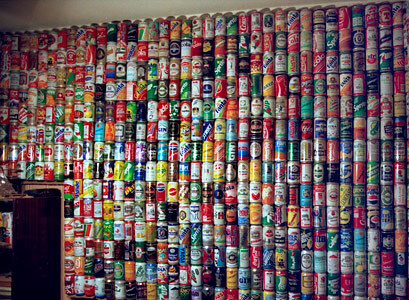 In contrast to flat items like beer labels or caps, cans could hardly be digitized and categorized. Maybe one day I will do this huge work (do you want to earn money by helping? ).